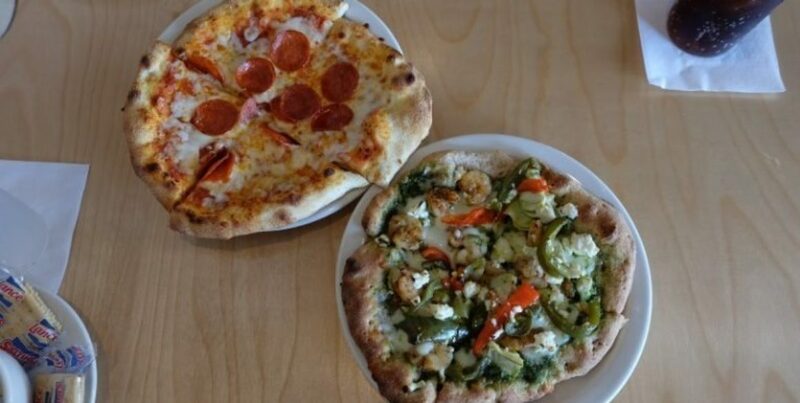 Nuzzled in the quaint and family-friendly neighborhood of Franklin, Nashville’s favorite pizza joint recently added its fifth location to the heart and soul of the Berry Farms community. 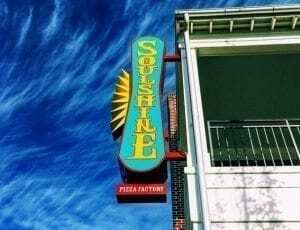 Established in Mississippi, Soulshine Pizza stays true to its gulf coast cuisine roots by offering award-winning pizza, artisan sandwiches and more all in a lively, family-friendly and soul-filled environment. When entering the pizza establishment, the colorful hand-painted art and framed record albums that line the walls illustrate the laid-back, yet soulful vibe that resonates with customers. With comfortable booths, two large community tables and plenty of televisions to watch sports, it’s understandable why families and friends gather for a quick lunch date, special occasion or a big sporting event. 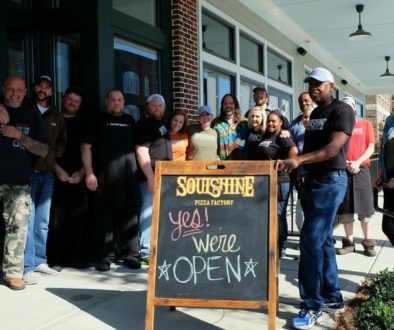 After sitting down for only a few moments with the witty, easygoing and approachable owner of the pizza factory, “Brother” Chris Sartin is the kind of guy that warmly welcomes anyone and everyone into his restaurant and strives to invest in the people throughout the community of Berry Farms where he now lives. “I love the fact that you can walk, work, shop, eat all in one community right there. I’ve made the ultimate investment in a community by opening a business and living right here,” says Sartin with a smile of excitement across his face. 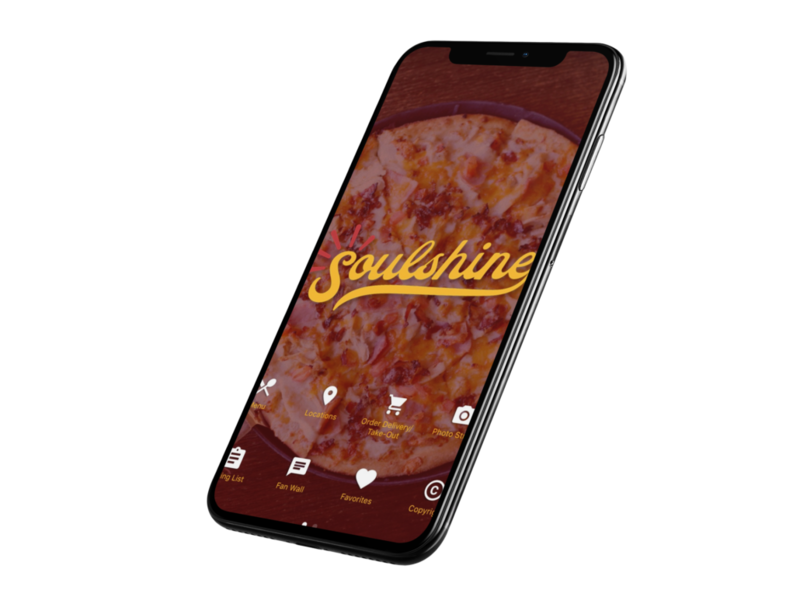 That excitement stems not only from the recent restaurant opening, but also from the fact that people of Williamson County now have the opportunity to conveniently experience the Soulshine Pizza menu. Initially inspired from Cajun dishes, the menu is ultimately a clash of cultures from that gulf coast cuisine to southern traditional. 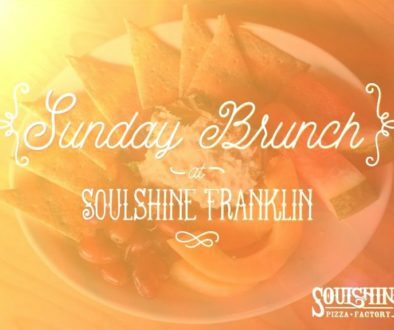 Not to mention, the sauce and dough are cooked up with the freshest ingredients, and also made in-house from scratch. 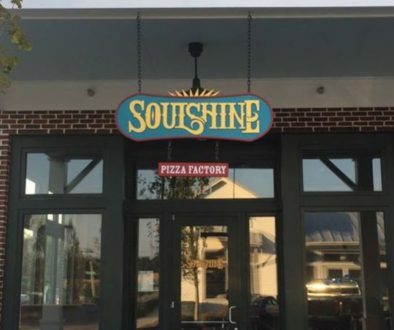 Soulshine Pizza Factory Franklin, TN – Now Open!